It isn’t that I don’t appreciate a good vegetable; I do. I’m just very picky about which vegetables I’m willing to appreciate. I have a preconceived notion that most vegetables are a varying degree of not good and should be called as such, making the appreciation process a tough one to get through. It’s hard to love something that wears a repulsive name, such as, “a-gross-agus,” even if the name is self-imposed by someone who hasn’t ever even tried the vegetable. Normal people might use a more familiar name: Asparagus. But, from the smells the cooking vegetable emits, “a-gross-agus” suits it better. Immature, maybe. But, completely true, if you ask me. So, for much of my life, I missed out on vegetables that might have actually tasted good because I deemed them, at an early age, not edible. I was exposed to most vegetables as a child, encouraged and expected to clean my plate at each meal where at least a third was covered in some sort of vegetable. 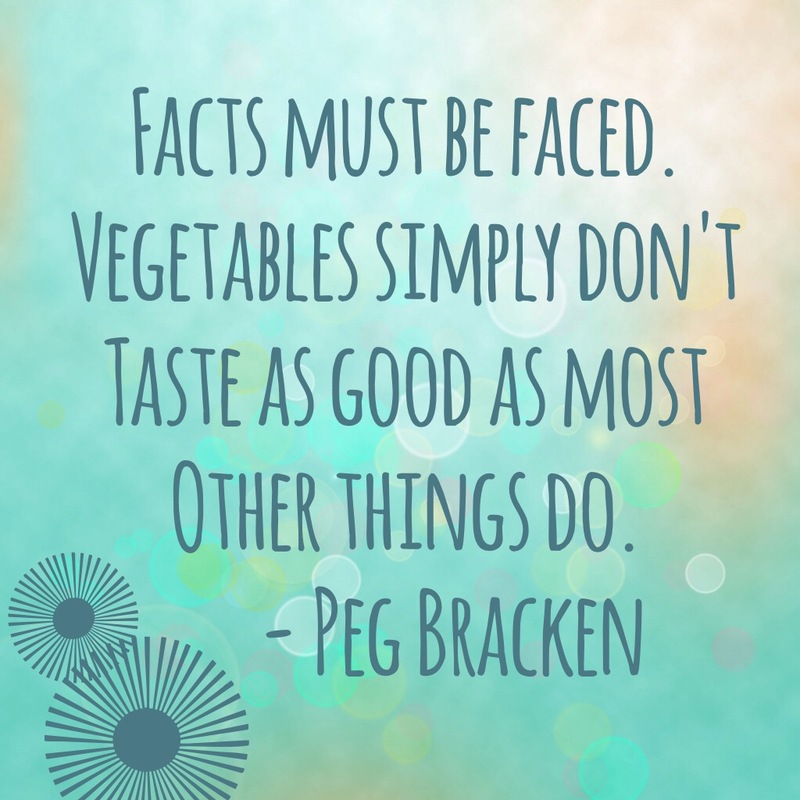 A combination of fresh, frozen, and canned, vegetables were present in my early years, but a struggle existed in those vegetables reaching full nutritional value because they were rarely actually consumed. Oh, the plight of parents who battle stubborn children at dinnertime. Eventually, childhood opens the door to adulthood, and there stands a grown woman who has adjusted her viewpoint of vegetables such that the basics (cucumbers, bell peppers, celery, and carrots) are staples in the grocery cart but who is not so far removed from the embedded suspicion of any other vegetable as to branch out to try new things. Not on my own, anyway. My friend, Amy, has a bit of an experimental chef for a husband. He specializes in fresh vegetables that I, formerly, refused to eat. But, somewhere in the midst of his sprinkling of spices and Extra Virgin Olive Oil, and magic grilling methods, I have accepted the fact that perhaps I have judged a few vegetables too harshly. That maybe, when prepared in such a way, a-gross-agus isn’t as gross as once determined. Brussel sprouts, fennel, eggplant. Perhaps these vegetables have gotten a bad rap from someone who is, otherwise, inexperienced in making such a bold statement as to determine worth, considering I’d never actually tried them. I’m not going to tell you that I head straight for the vegetables when grocery shopping these days. That would be a lie. But, I am going to tell you, proudly, that I bought cilantro the other day. On my own. Because I wanted to. And, for someone who used to ball her peas in a napkin to hide them from her parents in hopes of convincing them her plate was clear of all vegetables, this is progress. Mighty, mighty progress. There is hope for you weary parents of veggie-hating children. If I can be reformed, anyone can. I watched the scene unfold while waiting in my car. A teenage girl, no more than sixteen, sulks through the parking lot between two fast food restaurants. Clearly upset, she hangs her head, twisting and turning, avoiding the teenage boy who follows after her. He, obviously, has no idea why she’s acting this way. His efforts to solve the problem are fruitless. He lets her walk, follows after her, tries to talk to her. She ducks away, shakes her head, unwilling. They criss-cross the parking lot, leaning on light poles and taking up more than their fair share of the sidewalk. She, moving from place to place; he, following her. Though not running, he chases her. Every move she makes, he is right behind her. She has given the impression that she is too upset to talk, and that his efforts will not produce a solution. But, I call her bluff, sitting there in my car. This following is what she wants. She wants to be chased. I know. It is exactly what I want, exactly what we all want. I used to belong to a small church where people would call me after a missed service. Whether I’d gone out of town or chosen to sleep in, if I wasn’t in my spot on Sunday morning, I could expect a phone call or two from church members checking on me, wondering where I was, and if I was planning on being back the next week. I was a full-fledged member of this church. I taught Bible school for the babies on Sunday morning and put actual money in the collection plate as it was passed. I saw these people at least twice a week. But, those phone calls. They meant that someone missed me; someone wondered where I was; someone thought enough of me to find out if I was okay. At my birthday dinner last night, my friends and family gathered at my favorite restaurant to help me celebrate. Afterward, I got a text message from one of my best friends mentioning what a good time she’d had but how she’s noticed I’d been a bit quieter than usual. (Quiet is not usually an adjective used to describe me. When I am quiet, people notice.) The truth is, hours earlier, I’d had a bit of an ugly-cry break-down, totally overwhelmed at the tasks on my To Do list, lack of time to do those tasks, and the fact that I was completely exhausted from trying to keep up with an insane level of productivity. And, although I had gotten myself together and had done my dead-level best to raise my spirits and enjoy the blessing of good friends and good food to celebrate a special day, my mood wasn’t it’s normal high. She noticed. And asked after me. And worried about me. And prayed for me. I used to date a man who would purchase grape, Bubblicious bubblegum for me at the gas station he used. Popular among the adolescence of America, those big chunks of sugary bubblegum happen to be the best bubble-blowing gum on the market. It’s my favorite. But, it’s hard to find. Apparently, the allowances of those adolescence and my infrequent purchasing isn’t strong enough to keep them stocked at checkout counters. So, when my boyfriend found it at his gas station, he started buying me packages. He’d slip them into my purse, never saying a word. I’d reach in for my keys, and there would be a new pack of grape, Bubblicious gum, ready for the chewing. It made me swoon. My heart tugged. He remembered a random story I shared. He spent his hard-earned money on something he knew I’d like. He never called attention to it; he just did it. He thought about me. 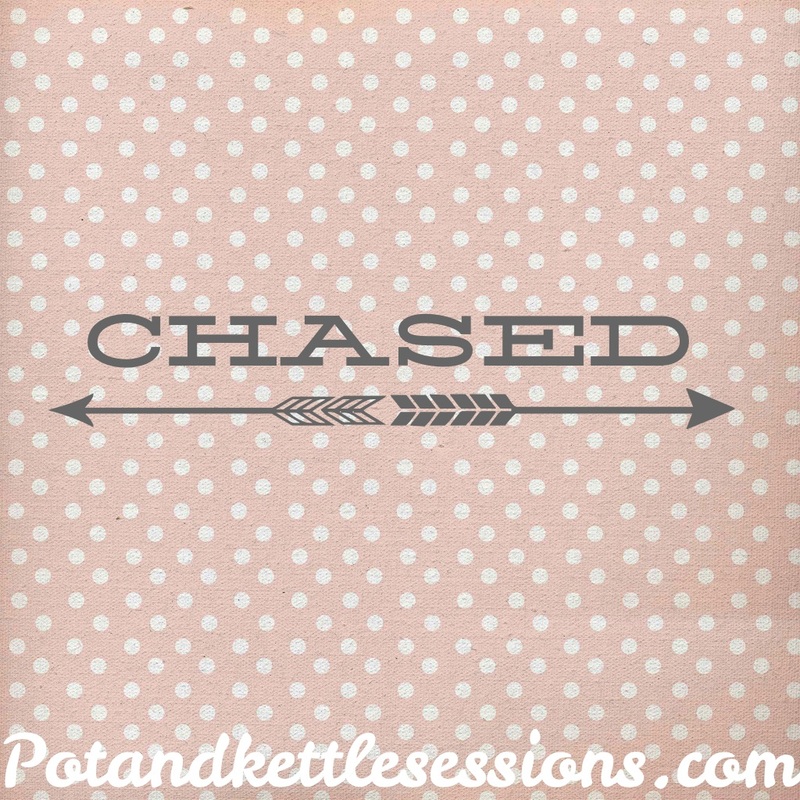 The idea of being chased has lost it’s shine in our feminist-driven, equality-focused society. I’m supposed to feel empowered to stand on my own, to be independent of everyone else, to find everything I need inside myself. And, I guess those things aren’t bad, so much as they are limiting. If I never experience the high in knowing I am worth a chase, I miss out on one of life’s heart-fluttering moments. Reveling in the notion that I was missed, that my mood was noticed, that my story was heard makes me feel loved. Being chased is love wrapped in intent and community. He finally caught her, that teenage boy and his sulky teenage girlfriend. He finally came to stand right in front of her, cornering her, with arms outstretched in an “I give up” motion. Her arms came uncrossed and dropped to her sides, giving him the opportunity to hug her. He kind of scooped her up and they stood there on the sidewalk in that awkward teenage-y embrace for several seconds. It was exactly what she wanted. The whole time. To be chased. And, more importantly, caught. This from an attractive, single man whom I have had regular conversations with for the last couple of weeks. And, although I appreciate his candor – a little constructive criticism never hurt anyone – if I’m honest, I’m embarrassed he noticed. And, when I say ‘he noticed’, I mean he has two functioning eyes and a smartphone that notifies him upon receipt of one of the thousands of text I may or may not have sent him in the last three weeks. And when I say ‘may or may not’, I mean that I have been a yappy dog nipping at the heels of someone holding its dinner bowl, so definitely ‘may’ is the appropriate word here. I wish it weren’t true. But, it so is. I think he may have used the word ‘intense’. More than once. In a single text. But, whatever. I think I can be hard to handle sometimes. Don’t ask my parents. They will certainly NOT have an opinion of raising an intense child; of temper tantrums or sulking marathons. They will remember other things from my childhood. My brothers will have absolutely nothing to say about this matter, either. Don’t bother checking in on any outrageous mustard fights that happened before school one day because I overreacted. My brothers are not credible witnesses to such an event. And do not, under any circumstances, ask my friend, Andrew, how many times I have walked out of a restaurant or hung up on him due to a misunderstanding or unmet expectation. He has a terrible memory and will, most likely, give a false account. I am hard to handle sometimes. In the name of transparency, I say this. It is not, at all, because I am proud of it. God stuffed a whole lot of emotion inside this skin. I feel things to the nth degree. Emotions walk around inside me all muscled-up on steroids, bumping into each other and not apologizing for it. The same strength of worry I feel for a friend whose baby is battle leukemia is manifested in a similar strength of pride when one of my students receives an honor for his chess-playing abilities. The level of sadness in a negative response to a class I’ve helped facilitate is equal to the level of intense excitement in finding a new friend (cue understanding nods for Poor-texting-guy). I’m, for all tense and purposes, a ticking time bomb of emotion. This, as you can imagine, is not the best scenario for finding a mate, or being a librarian for an elementary school, or in just walking the planet hoping other people will like you. I know what you’re thinking: Zoloft, right? And, don’t get me wrong. I have considered it. There has *got* to be a medical explanation for all that is Bethany Brant and her overwhelming-ness. You’re not going to believe this, but Poor-texting-guy isn’t the first person to mention my intensity. Shocker. And, both times it has been mentioned – I’m lying. I’ve lost count how many times it’s been mentioned. – I have been in the same spot in my life. The exact same spot, different day. I like to be busy. I like to run from one thing to the next. I like my schedule to be full, my drive time to be exact, my entry and exit dates to be close together, and my day to end in complete exhaustion. This probably has to do with my being single and the fact that an empty apartment isn’t all that great to come home to every night. But I digress – another story for another blogpost. Understated, I fill my day to the brim. And when that schedule proves insane – and it always does -, the first thing to go is exercise. I mean, I heave that mess right on out of the day with a certain vigor that might lead you to believe I didn’t want to do it in the first place. The unfortunate thing is that exercise has proven to be quite the mood stabilizer for me; forty-five minutes of walking a track, jamming out to music or talking to my friend, Amy, has saved many a day…and many a relationship. There is something about endorphins and muscles firing and my body being too sore, afterward, to even think about moving that changes things for me. Worst still, when my day is harried, I almost always skip my Bible reading. I took approximately thirty million Bible classes during the four (*ahem*, five and a half) years at the private Christian college I am still paying for. I already know what it says. The problem is, being in the Word keeps me grounded in the things I know and believe to be true. I may have taken thirty million Bible classes and know many of the stories, but when I’m looking to find my worth from someone other than God, I have clearly forgotten what those stories mean. When a day has me befuddled and questioning my purpose on this planet, I have, obviously, missed a passage somewhere. And, when my emotions threaten to take over the world in an extravagant, theatrical display, I have no other option but to accept that I have allowed something other than God to sit on the throne of my life. Medication might be the answer. When I have a spare minute (I’m sorry, what? What is that, even? ), I might consider talking to my doctor. Bless her heart. A soon-to-be-36-year-old, begging for medication for emotional outbursts that resemble a two-year-old’s. She won’t believe it. I’ll give her my parent’s phone number. For now, I’ll hit the track. A couple trips around the circle with Amy or blaring music that may or may not send me back to an 8th grade dance where Kris Mercer and I danced to three songs before I freaked out because he was talking to another girl at the punch table, (Run, Poor-texting-guy! Run!) will help smooth the dendrites that get all worked up and start emotional fights in the brain. And, a new Bible study sits on my nightstand, waiting to be started. The comfort and peace of reminding myself what God thinks about me and my purpose and my emotions and the fact that He made me this way, on purpose, is such a beautiful thing to remember. Such a calming thing to think on. A much more productive emotion, as opposed to, that of obsessively worrying about my actions and his actions and your actions and why they don’t all sync in the ideally constructed requirements of what I think should happen. Speaking hypothetically, of course. 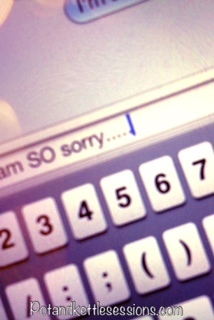 I probably owe Poor-texting-guy an apology. But, to be honest, I’m a *little* worried that his phone might combust. Or, he might. And, so, I’ll just hang back. Way back here. For a while. Until he’s had enough time to change his phone number. Life is funny. Sometimes, circumstances open our eyes to see things that we already knew were there. Sometimes, people in our lives allow us to see ourselves more clearly. And, sometimes, taking a step back is the best way to move forward. Given the time and an up-coming event, my friend Amy and I can log some serious miles on the shopping expressway. We have different tastes but a mutual drive to steer each other toward purchases that will highlight our assets and downplay our trouble areas. We’ve seen many a dressing room, re-hung many a blouse, and averted many a fashion mishap together. It’s one of my favorite pastimes, shopping with Amy. Whether we buy what we’ve tried on, there are always good, belly laughs and usually a meal involved – admirable priorities, if you ask me. I’ll hear the notification sound on my phone indicating that a text message has come through. Attached to the message will be a picture and, usually, a three-word message, “yes or no”… I have a katrillion of these pictures. Some yeses, some nos. All with that look of concentration as she tries to get her clothing in the picture and still be able to tap the camera button. And, I don’t know what Amy does with the pictures she sends to me, but the ones I send to her become the standard at which I see myself. They help me see what I look like. They help me understand what I look like to others. I write for a myriad of reasons, one of the strongest reasons being that writing helps me process for understanding. Being able to put into words an outcome or an end point, or a wall that I cannot seem to get over helps form acceptance and concrete contentment and solidifies the hope that there is more than a single circumstance staffolding my purpose in life. I am, first and foremost, a believer. A Bible-reader. A Jesus-follower. But, I confess: I’m not very good at being a believer, Bible-reader, or Jesus-follower. Some days are better than others but most are a comical show of me tripping over myself. On and off-again, like a bad relationship on trashy television. And, so I write to find the hope that tomorrow might be better than today. These blog posts are more for me, in that case, than they are for you. Posts used to point out where God’s Grace is the only reason situations turn out well; posts that highlight my hypocritical nature in what I try to act on from the Bible and what is actually accomplished; posts that make me wonder how God doesn’t just roll His eyes and wash His hands of me, altogether. But, maybe you’ll find some common ground between us, in these posts. A mutual nodding of the head that brings us together in our quest to do better, be better. The idiom, “Like the pot calling the kettle black” illustrates when a person is guilty of the very thing they point out in another. I anticipate that many of the stories I tell will tag me the pot. Or the kettle. Both, being black. And in desperate need of grace and mercy and reassurance and love. It seemed an appropriate name for this blog. 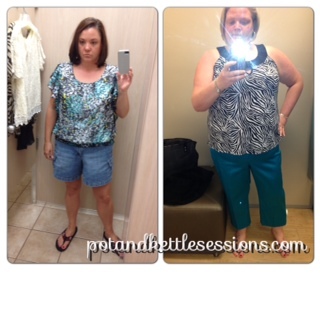 The shopping selfies that Amy and I exchange from dressing rooms all over the Metroplex help us see what each other looks like in a particular clothing piece. May you see these posts as selfies, too, helping you and me see where God has poked His divine intervention, mercy, and grace to make us do better, be better. As a child, I spent early Saturday mornings watching The Justice League cartoon with my brothers and was appropriately fixated on Wonder Woman. What’s not to love about a woman who could hang with the boys, who had an invisible mode of transportation and who could force the bad guys to tell the truth with a rope? Aside from her disproportionate bust to waist to hip ratio (Thanks for the body image complex, DC Comics! ), she was a perfect super hero to aspire to be like. 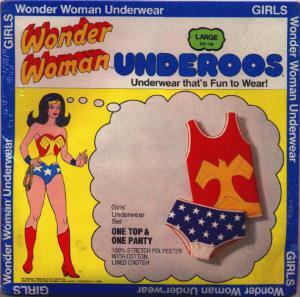 So, Wonder Woman Underoos made sense. Underoos. Remember them? Underwear and undershirt, prepackaged and pre-printed with whatever cartoon character was popular at the time. A marketing strategy genius for those children who watched cartoons on Saturday morning, which was ALL children, wasn’t it? I don’t remember too many particulars about these Underoos, aside from having them, but one memory stands out. I couldn’t have been more than three. My parents had guests over, and my Underoos were new. I made a streaking appearance in these underwear-look-a-likes to show off my Wonder Woman status only to be quickly ushered into my bedroom for a stern talking to about how we do NOT show our underwear to guests. Hmph. Who knew? I like the idea of transparency. I like the idea of being completely honesty in words, actions, and thoughts, day in and day out. I like the idea of being an open book, keeping my weaknesses and shortcomings and insecurities out in the open so that Satan has less to work with. I like that, in being transparent, I can lay my head down, at night, and sleep in peace and contentment. The action of transparency is often a different story. Transparency breeds vulnerability. And vulnerability is scary. Vulnerability acts as a door into our deepest, darkest secrets – those things we are certain will cause people to run, screaming into the night, away from our terrible selves. Vulnerability highlights those things we are certain will keep us from sitting at the cool kids’ table at lunch or at church. Vulnerability points to those things that could brand us ‘unlovable’ or ‘unfit’ or ‘unworthy’. The action of transparency is the hard part. But, the hard part is necessary. In order to form healthy, solid, strong bonds with any person, some level of transparency must be achieved. It is the single most connecting aspect of relationships – relating to someone because of a shared struggle, experience, weakness, or overcoming. There is a fire inside of me, put there by God, Himself, to blaze a trail toward transparency. A fire that propels me to place myself, my credibility, my reputation on the line in the name of complete honesty so that healthy, solid, strong bounds can be established so that His work can be accomplished; so that His Kingdom can expand. Thus the purpose of this blog and the words typed within it. I have nothing more to offer than a clear view into my life and prayers that you and I will be able to establish a relationship that will further His kingdom. I do not have all the answers. In fact, I have very few, as you’ll soon see through this blog. But, I was given the gift of stringing words together to paint pictures and speak truth. So, I’ll share. I’ll be transparent. I’ll tell you what I’ve been through, what I’m going through, what I aim for. I’ll lay on the table the things I’m afraid of, the events that bring me joy, the perplexities of my specific circumstances. All in hopes that His Word will bring clarification, His Will be done, and that we – you and I – will lean in closer to Him. Looking back, I can understand my parent’s reaction to my Underoo display while we had visiting guests. The inappropriateness was lost on me in my quest to share something I was excited about. Remember, this Wonder Woman-lady had an invisible plane! But, I envy the willingness I possessed, at age three, to be transparent. It is not so easily shown these days. May we posses the willingness to be open; to be transparent; so that others can see the work of God within us. And, may we have cool pajamas that give us confidence!